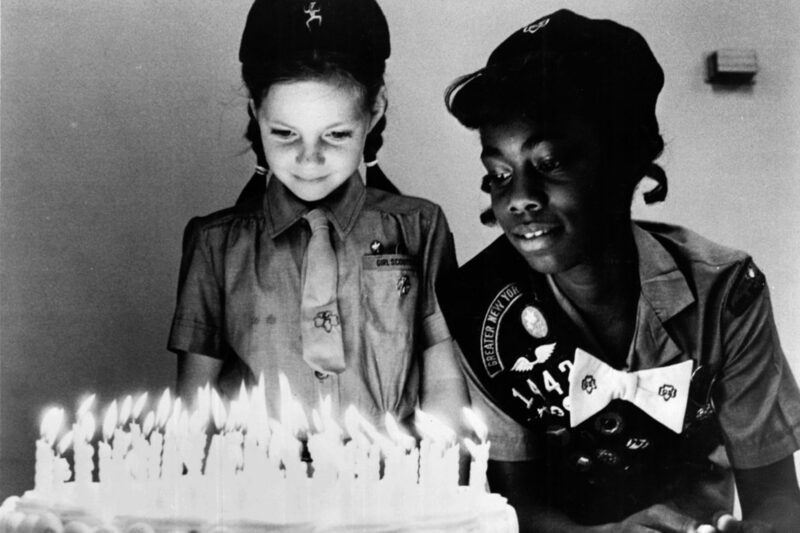 A Girl Scout birthday celebration, circa 1960s. This is the perfect time to kick off the It’s Your Story-Tell It Journey . This Journey introduces girls to inspiring women through various forms of story-telling. While the Journey has women interwoven throughout each Girl Scout grade level, you can add in a few additional African-American women in honor of Black History Month. You can even have girls do their own research and bring the story of an inspiring woman back to their next meeting to share with the group. You might be saying, “I’m not a history buff!” That’s okay! It’s great for girls to see you learning right along side them. Visit www.africanamericanhistorymonth.gov to get inspired yourself! The menu on the left side of the screen has great tools. The images tab has photos of great leaders in our history along with information about them. Have fun exploring yourself and then let the girls take the lead. GSUSA has great information about Girl Scout history on their website which includes women from all backgrounds. Search for Black History Month celebrations and exhibits at local history museums, cultural museums, art museums and universities. These type of events are a great way to learn along side the girls and get out in the community. Did you know that we have an AMAZING museum called the National Underground Railroad Freedom Center right in our council’s jurisdiction? Check it out! Simply talk to the girls about what they are learning about in school during Black History Month and what they think about it. This approach might help you find out what the girls are really interested in and allow you to let them explore in a way they may not get to in school.